It has been so true in my life that things always seem to happen when I least expect it. This goes from moving 700 miles away from home right out of college, finding my husband, getting married, having kids, moving back to NY and now getting a job. Right when I was starting to question and doubt that I was never going to find my next step, I was offered a job. I mean I had been praying and praying but was getting so discouraged and was doing my best to keep telling myself that 'what is meant to be, will be.' The Sunday before I got the call about the interview for the job our pastor said these words, "worry about nothing but pray about everything." It hit me so hard and I knew that my prayers were not going without being answered and I just had to trust that his timing was best. Well, to my surprise and when I least expected it...the phone rang for me to come in for an interview. I accepted a 3rd grade position in the RCS school district. I have loved being back in the classroom and I feel so blessed for this opportunity. The morning routine with getting the kids to school has not changed so I love that we still get our mornings together. Rick working from home allows him to get the kids off the bus in the afternoon and I am home an hour later. It is so great how this has all worked out and I am counting my blessings. Spring has finally showed up. We had great weather this past week and we were able to get some yard work completed. Rick also put up a basketball hoop for the boys which they received from Christmas. I can't even tell you how many shots have already been made in that hoop. I love the fact that my boys love sports so much and are good at them too. 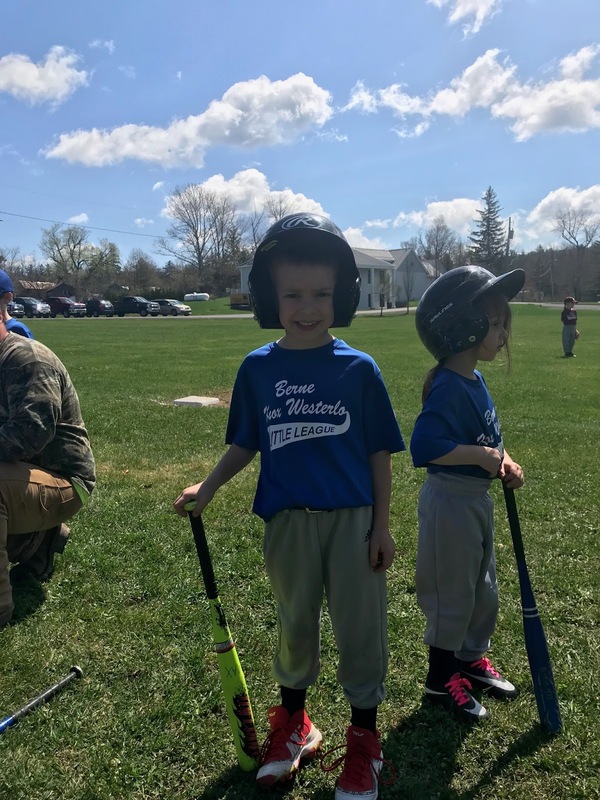 Max started baseball and is doing great. He had two great hits at his first game. 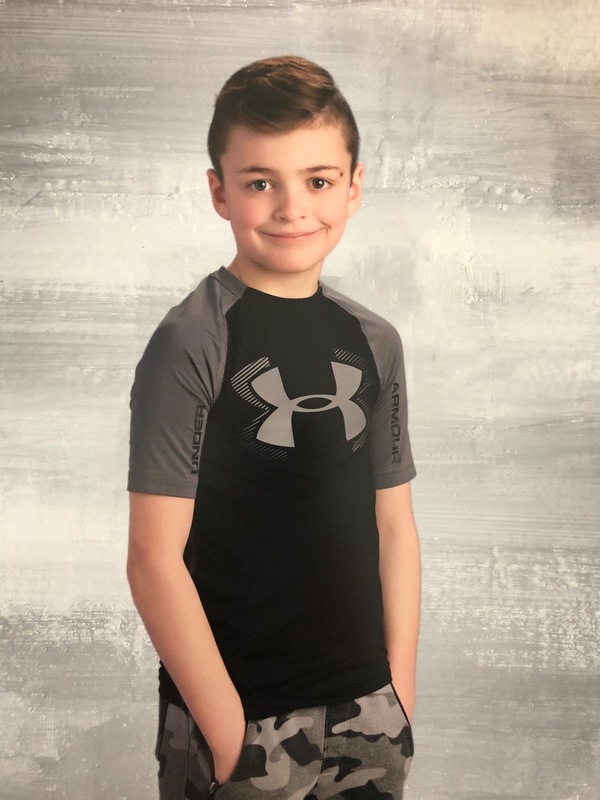 Roman has been practicing basketball and both the boys are signed up for soccer in the summer followed by football in the fall. If my boys (including Rick) are not playing a sport, they are watching one on tv. We are now rooting for the Cavs in the basketball series. So far they are looking good! At the beginning of the month Roman came down with the flu yet again. 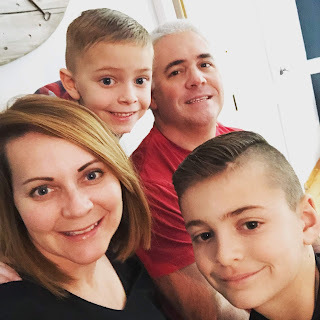 I am hoping now that nice weather is here we can get this house aired out and get us all some fresh air and some much needed vitamin D.
The end of the school year is approaching and the boys are looking forward to summer. Roman has taken the end of year tests and now it is time for the big push to get us all through the next month. 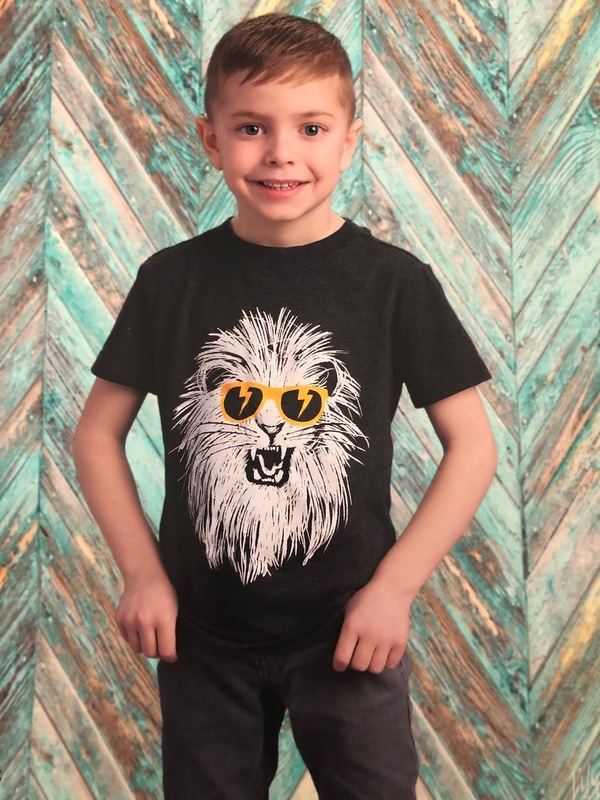 The boys got their school pictures back and I can't believe how grown they are. It seems like yesterday I brought them home from the hospital but at the same time it seems like they have been with me forever. I am soon to be a mom of a first and fifth grader...what?!? A couple weeks ago my Great Aunt died and so I attended her funeral. It is such bitter sweet when you say good bye but in her case, she lived a long and happy life. This past weekend we had 'Francis Girls Day' with my dad. The boys had their day a few months ago and it was now our turn. We went to Gloversville for lunch, followed by a little shopping and ending it with ice cream at Friendly's. I love these traditions that we have as a family and my dad is the sweetest most giving man I have ever known and am so proud that he is my DAD. On our shopping spree, my sister-in-law (a.k.a. 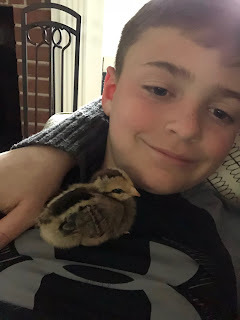 partner in crime) decided to use our money to buy some baby chicks. So we got 6 and surprised the boys. They are currently being loved on and living in my dining room and when they get a little bigger they will be moved to the farm. Rick was able to attend a little show that Max had in his class where they showed off their habitat project and sang a little song. I just love the joy he has for learning and school and I hope it stays with him forever. So when you least expect it, expect the unexpected. Whether it be a new job or new baby chicks...there is always something great waiting for us around the corner.